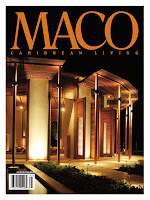 MACO Magazine is the first Caribbean based magazine to be accepted by Barnes and Noble (B&N). MACO Caribbean Living and MACO Destinations will be sold in all major branches of B&N and B. Dalton throughout the U.S.A. , that's over 680 stores. The Sweet 7 Previous Posts on MACO Magazine.